Puzzle Agent iPhone Game – What is it? 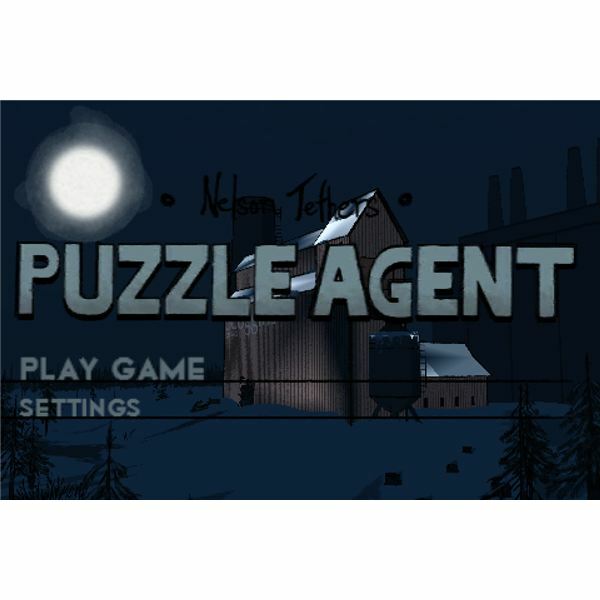 Puzzle Agent is a simple, point-and-click adventure game. Take note, while it is being billed as an adventure game, don't expect the fast-paced action that you'd normally find in most adventure games for iPhone. Instead, expect to solve endless puzzles that vary from putting puzzle pieces together to examining various statements to determine which is the right one that will solve a mystery. 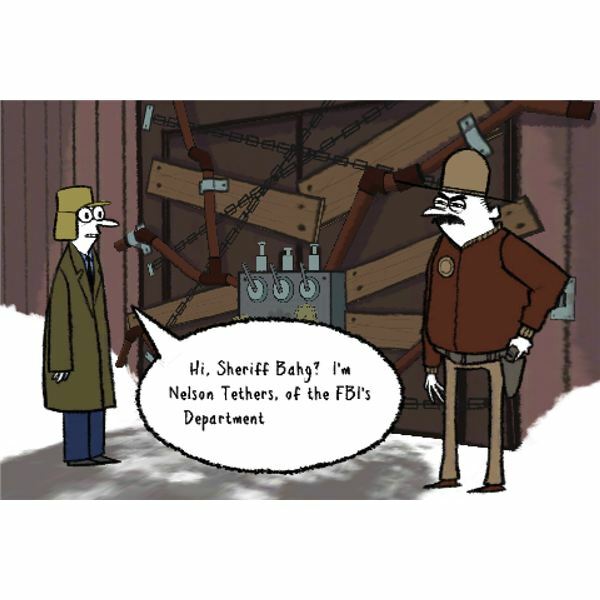 The game puts you in control of FBI's Puzzle Research Agent Nelson Tethers who was assigned to investigate the shutdown of an eraser factory in the small town of Scoggins in Minnesota. The said factory just happens to be the supplier of erasers to be used by the US White House. So, it is very important for Agent Tethers to solve the mystery behind the eraser factory's incident. To accomplish this task, Agent Tethers must find his way around town and crack puzzles along the way. The puzzles in the game vary from easy to difficult. Along the way, Agent Tethers encounters clues and other objects that will lead him in solving the mystery and of course tons of puzzles to solve. I'm pretty sure that you''ll enjoy this game if you love solving puzzles, it's one of the best iPhone games for puzzle fans. As Agent Tethers continue to solve puzzles, he will soon unravel the mystery behind the eraser factory incident. When solving puzzles you can try as many times as you like until your solution is solved and not rejected. While this is fine and increases the chances of you solving a puzzle, every time your solution is processed though – there is a corresponding bill of taxpayer's money that you are spending. Most puzzles in the game will definitely challenge your logic and reasoning, while some may not require the use of them at all. Puzzle Agent also has some other features which you can check out at the game's main menu. You can see the flow of events and "incidents" that you've passed through via the game journal. You can also check out previous puzzles you've solved and even solve them again. You can also adjust various settings such as sound, voice and music. When it comes to graphics, the game is pretty much your standard hand-drawn comic strip style. The game is rendered in 2D graphics which is good as extravagant graphics in this type of game would simply not work. So, given all the odds and ends of this game, do we recommend it? During the initial stages of Puzzle Agent, I was thinking of not recommending this game. But that changed as I continued playing it. This is especially so during the levels when the puzzles started getting complicated. In other words, when the challenge of solving complicated puzzles creeps in, you'll soon find yourself getting too engrossed with the game. You simply won't be able to stop playing any more. In other words, there's really no reason why we could not recommend this game. So, go ahead and get Puzzle Agent from the App Store now folks. Here's the download link.